1st September 2012. We announce upgrades to the Events and Shop systems, as well as new "share" buttons for ExplorOz content. Plus, find out about the return of the ExplorOz Cap, and who's the final winner of August's Rammite competition. There's also details on the latest shop products and Super Specials, and we introduce our new Business Members. Some recent upgrades to the site make it even easier for you to find, use and share information on ExplorOz. 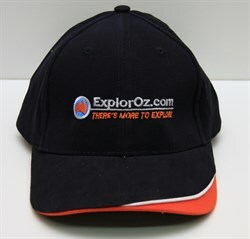 Plus we've got some exctiting new additions to the ExplorOz Online Shop, including the return of the ExplorOz Cap! Found an ExplorOz Trek Note to help your mate plan his trip? What about a Shop product you want to receive for Christmas? Or an Event for the family to attend? Sharing information you've found on ExplorOz just got a whole lot easier. Whether you want to share via social media, email or just print a copy, the buttons to do this are now right in front of you on every ExplorOz content page. The ExplorOz Events system now features a full text search, detailed event pages (with images), and the ability to download individual events or event calendars. Full of hundreds of activities around the country we'll make sure you don't miss out on what's happening near you, whether you're at home, or on the road. To read more about the updates to this system, see our forum post here. Looking for a Father's Day Present? 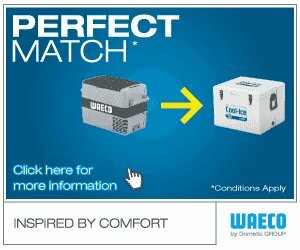 Why not purchase a WAECO CoolFreeze compressor fridge/freezer and you will get a matching size WAECO Cool-Ice icebox totally FREE! With nine (9) models to choose from, there is definitely a compressor fridge/freezer to suit his needs. The CoolFreeze range is designed for Australian conditions, delivering high performance cooling or freezing even in blistering heat, and keeping its cool even in areas with high fluctuating temperatures. Hurry, offer ends 30/9/12. To find your nearest Dometic-WAECO retailer or for full terms and conditions, visit www.dometic-waeco.com.au or Freecall 1800 21 21 21. Shop navigation just got even better with text search now available from individual Shop product pages. Plus, keep up to date with the latest in new and updated products with RSS feeds from each category of the shop, simply click on the RSS symbols found on the Shop Home page to subscribe. has won a Rammite Long Sleeve Crew thermal shirt worth $80. Congratulations to the final winner in our August promotion! Don't forget to keep checking the ExplorOz newsletter for even more giveaways and special offers coming up soon! Keep cool this spring and support Exploroz with the all-new design ExplorOz Cap. Upgraded VMS with Even More Features! 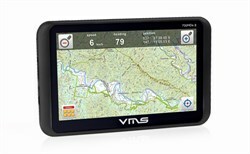 Just arrived, the VMS 700HDs On & Off Road GPS now features even better Street Navigation and free mapping updates for 3 years! This GPS is simple to use and features a huge 7" touch screen all for only $699! Find out more here. 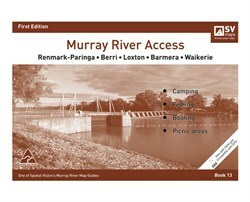 The latest map in the Murray River Access series has just arrived in the Online Shop. These maps are essential if you're planning a trip to the Murray this spring. View the entire range here.